A new series of blog posts will be coming over the next few months. They will break down the factors and benefits of blending 3D modeling/rendering and photography. The two services offer a wide array of opportunities for your visual needs and achieves amazing results. For Born & Bred visuals, our team worked closely with our client to create an environment where the product would be living. These visuals would be used across the web, general press, and awards. The bottles at the time were in production and would not be able to be fully staged for a photoshoot. 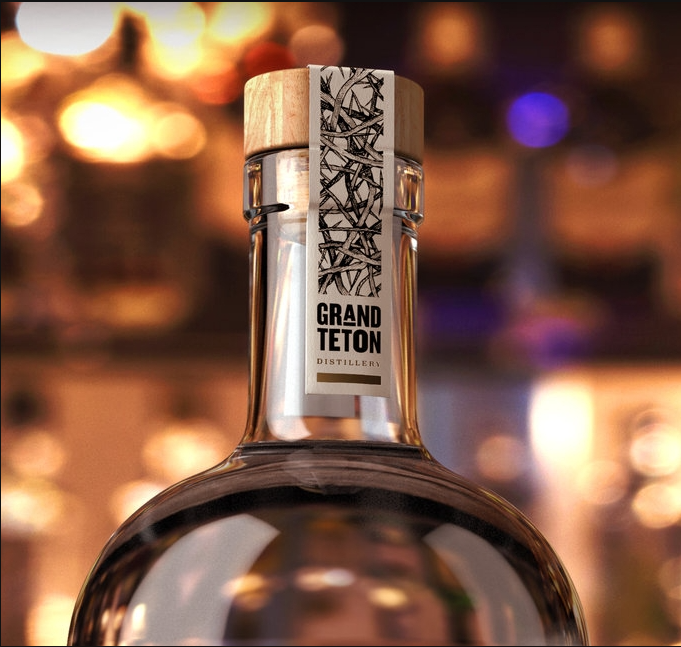 Since the bottle was already modeled and ready, we proposed that the 3D model be rendered with a static image to create the environment our client envisioned. After searching and reserving the rights to an image through a popular image search site the team was able to integrate the model of the Born & Bred bottle with the chosen image seamlessly. The final product, as seen above, was rendered utilizing the static image in the 3D software. 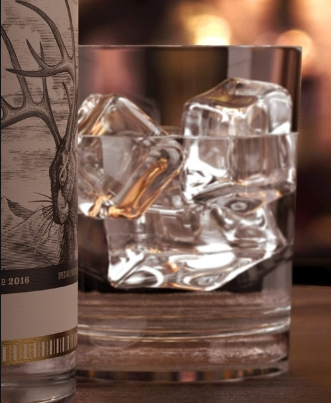 By integrating the static image into the modeling environment, as seen above, the bottle and rocks glass were able to render with realistic and natural refractions (more details seen below). Going this route allowed our team and client to play with the environment/images and test out what would work best for the final visuals.This route also saves time and budget for the overall final product. In the end, we were able to provide a realistic environment for our client's product to live in. The software was able to render out naturally occurring refractions that would be seen with a larger scale photo shoot, saving the client time and money. 3D and photography integrate seamlessly in various ways. Your needs may be different every time, but there will always be new opportunities to increase the realism of your visuals. Have more questions about how 3D or photography or Lyon Visuals other offerings can help with your visual needs? Feel free to reach out Cassandra@LyonVisuals.NYC today. Let's chat!